As a woman how do you manage the home financially?what is your contribution and how do you manage the finances?How do you shop for foodstuff with and/or without kids at home? How do you buy stuff and where do you find them cheaper? 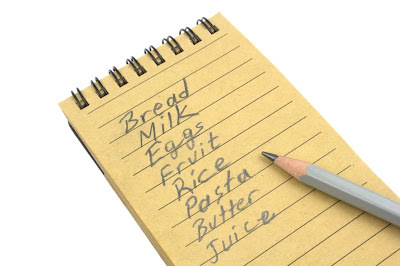 I am not one of those people who knows how to make a shopping list for the month,I just buy and i hate to store fresh Veggies or fruits or beef or fish,I buy when i need it.....Sometimes i buy stuff i dont need or change my mind from using and i give it out,so I will definitely be learning from this post. I want to learn ooook..where are the married women in here? I buy my food stuffs in bulk. I half bag of rice and it's last us for 2months. I share basket of of tomatoes with any friend or neighbour that is interested, blend with pepper and onions, some very smooth and the rest rough.pack them and put in the freezer. I make sure my freezer is powered at least 5hours a day with generator if there is no power suply. For provisions,I buy the refill packs it's more economical. I buy eggs as i need it, cos I don't like storing eggs. For meat and other proteins, i'm in a group that shares goat meat and the rest, so we gather and buy a big goat, carob of chicken, fish and the rest and share. Five litres of Devon kings groundnut oil last us for a month. For tomatoes and the rest, we buy from mile 12 or sometimes early morning at ikotun. For provisions I buy from distributors, that way you buy more for less. For food items like tomatoes, beans, rice, we buy in bags and baskets then refrigerate for the month. For meat and fish, I buy in cartons and a whole goat which it cut up and tied in pieces of 10 per meal. For fish, fresh and dry I refregirate. I make sure I buy in bulk that will last for a month or run into the next month. The sense is to buy in bulk especially when food items come down in price. non perishable in bulk , perishable every 2 weeks, fruits every week. I fuel my car, my Dstv. The end! He provides the rest. I buy everything in bulk to the least which is salt. We are just two but I go to major market where all this village women bring fresh things. I make soup and stew weekly but I stock monthly. A bag of rice serves us 8months. Well I am the administrator, so sometimes I buy things like Garri and Semo that may last 3months. I can buy like a bag. Everything needed is sha once in a month. It's 80/20....Mine is to fill the gas, subscription and Nepa. Bag of rice that my roommates and I finished within 4 weeks in my 100 level.. I buy foodstuffs once a month, and for pepper and other proteins I buy them every week cos my husband complains when it stays too long in the freezer. The issue of finances, my husband does everything, I just started working but this job is you earn according to what do. But I really want to start contributing. Although I do little things but they are insignificant.I pray for God's mercy so that I can contribute, he is actually not complaining but I feel I need to start assisting him. Hubby loves bean and unripe plantain, so rice is like twice a week. There is Oja Ota,Ifo market and Arigbajo I. E this one's are five days market in ogun. Very cheap. Thanks Orente. I've screenshot the comment. This is soooooooo needed......I will be back to read and learn. Me I dey buy am bulk; major food stuff; e.g. a bag of rice, like once a month or even in three months. The one wey dey perish like fish, vegetables I just dey buy am dey go because I dey like them fresh. I sabi say no be everybody fit buy one bag of rice for e.g. You fit buy in groups. Nigerian women sabi do that one, where them dey work/shop, them fit group together like 3 or 4 to share one big bag of rice. ABEG make una no buy (irish) potato store. As e dey stay, e dey produce poisonous gas wey fit mud whole family like generator fumes dey do. So single ladies do not eat? Even if you are in your papa's house, you don't go to market and cook? Continue to do marketing strategies. Lolx.. You can give your verdict. But my HMO is just basic, so we have to save for medicals and building. I go to the farmers market to buy and things are a lot cheaper there. Having a car is very important for such a trip. If you see me dressed going there, you will think I am one of the farmers yet I am a professional working lady. If you can't afford the bulk, team up. I keep small vegetable garden around my house. A lot of ladies think it is demeaning to farm, go bulk food shopping or cook. If you can't cook for your family, better learn it before you marry. I do not have a maid, my kids, male or females are my "maids", every one must learn to cook. Even my husband knows how to cook and joins sometimes (never compelled to) and we all enjoy it. If you must employ a maid to shop and cook for your husband while you spend all the time in the saloon doing I know not what, be ready to write your chronicles. What your husband and kids eat, you don't know. A lot of ladies do not also treat these maids well and their payback is in your soup pot; shopping and cooking. I will always be grateful to God for my hubby. The last time I went to the market to do shopping was 2015. I hate market environment, where you struggle to pass through so many people, haggle prices, then drag the heavy load till you get wheel barrow to carry it. What I do is to write all that is needed in the house. On the day he is off duty, he goes to the market and buys everything. My last babies are 20 months old. I use two packs of huggies(40 each) in a month. In the day, no diapers except we are going out. When they forget to use the potty and wee on themselves, I Jejely carry mop and clean it up. No time to form. For soups and stews. We get them from ILE EPO market. Imagine a pot that can feed 6 adults comfortably, N400 naira tomatoes(tatashe,sumbo and rodo) fills it and we use it up to four days. In total, we spend about 47k on food and baby expenses. My housekeeping allowance is 10k and I receive it with joy and thanks. That one is for buying snacks for the older ones in school, Offerings and recharge cards. I don't complain cos I know how much he earns and still helps my younger sibling with his school fees. I just pray God gives me a good job once these ones are registered in school and I'll support him wholeheartedly. I am grateful always. I write my list and always keep to it. I shop every friday. I buy all my groceries from ebeano supermarket in chevron drive and shoprite at circle mall. I buy my meat, fish, cowleg etc from @meatdistrict ! I don’t like stressful shopping. I buy my vegetables and chicken parts from @forthworth farms, fresh and reasonable prices. I admire women that enter oke arin market to shop, go to abattoir to buy meat, you women dey try! I can’t do it. pls where is this ilepo in Lagos? The milk you mentioned, what make is it pls. Does it taste good and how do you store it? Where and how do you share the meat? How do you get to Ile Epo from Ajah? Anons Pls don't go to ile epo from Lagos island o, It's for people around iyana Ipaja, Sango otta, Meiran, Ijaiye and environs. The stress and traffic will be too much. There is Mile 12 market after Ojota-Ketu and things are just as cheap as ile epo. I buy cartoon of all beverages (sachet) eg nescafe, liquid three crown milk,Milo etc. this way you can be sure that each person can only use a fixed quantity and it. I buy "baje tomatoes n shogbo" wash n blend n freeze for stews n meat of 2400 is cut into pieces of N50/each(the sellers to cut for u as if ure going to sell it), boil with garlic n maggi and freeze, carton of sachet detergent and hypo so its one per wash also to minimise wastage.I use a combination of Maggi chicken(rectangular), naija pot and knorr chickem for 1000 and it wld last for long.I mince meat for ease of fast food.I've also discobered that buying spaghetti n indomie in cartoon is cheaper.with 10k we can last from 25th of one month to the next. Which one; tom and Jerry? I ain't married but here is how my mom runs the home and she has been consistent over the years. She makes monthly contributions in her work place and in December, lots of foodstuffs are bought which sustain us for several months. My kid sister and I have joined her and this gives us triple of what she got in past years. My dad(of blessed memory) provided money for bags of rice, beans,okpa and other basic foodstuffs every December and they last us all year long. However, the rest of the foodstuffs and other items are bought in bulk at different times of the year. As a result of this, she only buys perishable food items at the point of use and we can comfortable cook for weeks without making a trip to the market. Things became more difficult after we lost our dad and I had to cough out roughly 60k last December for the yearly food. I have learnt a whole lot from her and I can't wait to put the knowledge into use in my own home when the time comes. My make-up, toiletries and the rest are also bought in bulk which helps me save money and spend less every month. I would like to share my own views on managing the home financially. I buy rice half bag and garri half bags cos sometines if you buy garri too much quantity it can get spoilt. So the best for me is to to buy that quantity cos we eat eba a lot in my home. in large quantities cos they are cheaper there and it can last up to three months for me. The dried fish has to be put in d freezer to preserve it or else it will spoil. You can also be taking it out to the sun to dry it more during the days or weekend if you are free. The things for stew like condiments I buy in bulk like quarter instead of half carton. It all depends on my money Sha. So All I need to buy daily are the vegetables to garnish my food. And I buy meat or chicken on weekends to cook soup or stew for the week. So this saves me much money and stress. I can always make something to eat at anytime cos I have the major stuffs. We make bulk purchases for every household item except fruits and vegetables. We store meat in the freezer. Just boil and refrigerate. 25 litres of red oil for year is usually bought from the village. We never buy red oil in Lagos. Never. We buy crayfish in waterside Apapa and it lasts up to a year. We preserve the crayfish by sieving the chaff, drying it in the microwave, then store in airtight bucket. Same with stock/dry fish - only we don't microwave, just preserve. Would have written more, but I'm tired. Hope this helps someone. please how do I get to waterside apapa from ikeja? I cater for myself alone for now.70% of my salary goes to my personal savings,10% feeding,10% goes to transportation,10% to my parents. I get gifts of cash,provisions and foodstuff sometimes.i shop for clothes and make up like 2 to 3 time a year. I save save save cos I don't know what tomorrow has to offer. No matter your monthly budget, it it doable if you purchase in bulk. Semi, garrison, rice, beans, spaghetti,wheat, oil both red and groundnut, yams, seasoning cubes and spices. For meat, get a good freezer, you could share a whole goat with someone or buy cow meat at abattoir. Fish as cold room in cartons or half. Portion in small black nylons and store.this goes for tomatoes and peppers. Blend and freeze. For soups, I make weekly with fresh vegetables so I could dash to Market and buy ugwu, uziza, oha, okro etc. Its doable and cheaper too. In Lagos, shop at ileepo, iyanaipaja, oyingbo, agege markets. I am single but I have little advice for married women. Do you know you can manage your home and save very well just by producing some of the things you buy? Go to Youtube and learn how to make good liquid soup,with 3k you can make liquid soap that will contain a 25liters jerrycan. You can make your own milo instead of buying every two weeks. Dear wife's there so many things you can make yourself in an even healthier environment. Please go on Youtube.try to cut cost while your account smiles. @too blessed, you are such a sweetheart, I will learn the soap one just for fun. My wife no dey go market. Na me dey go with my phone calculator. If she no like, make she pack go her papa house. o clap for yourself. Hope you save a lot of money from doing that? If not any other thing, you save the woman the stress of ggoing to the market, provided everything needed for food is in the house. The best way is for husband and wife to have a household account, you should each agree on how much to contribute to that account each month according to your incomes. The spouse that makes more should put in 80 percent of the required amount. The money should be able to cover bills for food, utilities, etc for each month and if you buy durable items in bulk, you should still be able to save money. KEY - When you contribute money in running your home then you will certainly learn to manage money. I usually do monthly shopping for nonperishable.then things like plantain,tomatoes and the likes I buy as I need.I do my shopping at Oyingbo market.I spend close to 40-45k monthly on food for a family of 3.the sharing formula is not standard.it's more of who has does and assists the other.With this there is peace and harmony. Am learning, where can u shop at reasonable price in Abuja.am new to the environment. Karimo Tuesday market, Dutse Monday market. Farmers bring their ware directly to sell. I buy all almost all my food stuff from Enugu but I stay in pH. Whenever, am having a relative coming or my hubby is traveling to Enugu, I buy yam, a paint of egusi, big quantity of ogbono, dry fish, fuofuo, abacha akidi,ogiri stock fish and garri cos is alot cheaper than pH. Then, I usually buy onions and tomatoes in painter, I buy paint of crayfish is sold for 4k, so will last longer, 4sachets of knorr, salt, big quantity of pepper blend and freeze. One big rolls of rose Bella tissue. Now, I have excess tissue cos where hubby lodge for job outside pH they give them tissue so, more than a bag dey my house. I get to buy smoked fish, beans as we eat beans once in a week. We usually have a bag a rice at home so no problems. Now, I told hubby we will switch to Water dispenser and gave him money. In pH the best water is shell water located at shell RA and IA. So, we got to fetch correct water that you know the source to minimise cost is better than all the sachet water and some bottle water. My husband was earning 350k as of 2014. We used it and did very decent trad in 2014 and big wedding in 2015. But, we made sure we saved. By 2016, we had no car but we bought 2plots of land worth 2.5m. we still go on dates, joints but moderately. By ending of 2016, my hubby's contract ended. We were still eating well. I lost my 30k job that same year. By April 2017, my hubby was able to contribute for his mother's burial without job. By then, I got a job paying 200k. We were able to pack from 1bed to 3bed. I gave hubby 300k and he was able to make up the rent. He paid roughly 700k but agents, lawyers etc. I took over from hubby till he got another job by Nov and took over from me. I don't get to contribute anything. Hubby, feels manly by doing everything. It makes him happy and I pray more for him. The only time I contributed he was out of job and he almost frustrated me cos of his ego. He feels I does his work for him and wouldn't respect him. I pray God will continue to provide good jobs for my hubby cos he's a good man that knows he's responsibility. I only buy tangible things that's not available. And save my money for unforseen eventualities. I wear good clothes oh abeg I will not come and I die. But, not that expensive; I have a friend that have sisters in UK. She gives me fair prices, my sis in law buys for my baby in Canada. I also wear okirika Haba ok is the best. Correct designers. But, am not buy buy. I buy when necessary. Buying from the open market is cheap! Bulk buying saves money too! @Lagos shopper, I have saved your number. Will certainly call you, how much is delivery to lekki? Lagos shopper, I will call you o, that yam and some other things enter my eye. I shop for what can last for at least 4months because I don't really like going to the market, 10kg semolina, half bag of rice, Elubo from those that come from Minna to sell off here in kd( thanks to my mil), Yam in 6pieces, 2crates of egg( 1crate to serve my son for a month and the other for myself and hubby), beans I buy quarter bag and store in 25litres, 5litres palm-oil and vegetable oil. I also buy my tomatoes and pepper in alrge quantities but I don't blend it, I blend each time I want to cook( hubby doesn't like the taste when it stays too long). All these are paid for by hubby, gas, nepa bill, fuel and subscription including son's School fee, we don't do house rent Alhamdullilah. At work, the welfare committee buy bags of milk, dry fish, cray fish, spices, condiments, detergents, salt, washing soaps etc you select what you want and the total money is deducted from our salary for four months. I also take care of son's lunch pack and things like his slippers, school sandal, school bag and books. And the rest of my salary goes into contribution at work. I dont have monthly allowance, I get money according to my demands. I buy veggies as the need arises it's so cheap here. And protein is weekly. Clothing is hubby's responsible according to islamic right but I still buy anything I fancy in the market once in a while. Semovita, once you open it and it stays for up to one month, it gets spoilt. Beans too and some other food items get spoilt. So, we have to be mindful of the things we buy in bulk. Forget all these bvs saying they buy semo and beans that last for 6 months o. Don't mind them, all of them now buy in bulk. Some travel to kano to buy onions. Some buy garri that lasts them for one year and cook stew that lasts for six months. I pity some gullible ones who will fall for these lies. I have warned them below. Beans can be preserved to last for a long time, don't know about semovita. Store your semo in airtight container, it will last as long as you want it. Mkpuru Mma, how do you preserve your beans?? I have a freezer for dried food so my beans,rice,garri and others are kept there. We don't eat semo. I buy things in bulk so I don't go to the market all the time. I bought tomatoes in January from Jostified mum,still have in the freezer. The only thing I buy like every week is plantain. I buy yam twice a month. I concur cos in Bayelsa where I reside presently they hardly have electricity supply so I told my supervisor and mom that I can't preserve food when the cost of the fuel is more than the food. Grace, it doesn't make sense at all. Light in my area here is very poor. Sometimes a week or two we won't see light. They will say transformer has fault. How will you cope with foodstuff in the freezer? You will now be buying fuel to power the freezer, will it not amount to wasteful spending?. Biko you people should calculate well o.
Pls my fellow Ibadan bvs. Which market can I buy foodstuff in bulk that is not far from Aleshinloye and surrounding? Anon 19:26, same here o. looking to meet Ibadan bvs. Click on my profile and contact me so we can talk. Meanwhile I'm learning a lot from this post. When I start making enough money to buy in bulk, it will assist me to plan well. yea Bodija market to the rescue!! Not married but I know my mom is given 60k per week, I know not all goes for food, we are 3 in the house, 3 square meals of very good food is always available. I cook two different pots of soups n stew every week, n its not light soup, we are four sometimes 5 in the house, I was given 30k per week,hubby increased to 50, I don't buy in bulk, I bought in bulk n it starts spoiling, yams get spoilt, garri turns black, only rice that lasts for 3months, beans gets ants, so I tend to buy in bits, sometimes d money finishes,sometimes I get plenty change, don't tell me its a waste, I didn't come to this world to suffer...yeah we save tremendously, there's house n cars,so no need being stingy over food to yourself. this one you guys are saying I'm like wow wow wow, people are really managing, kudos to you all, my dad will not eat soup that is not assorted, and it must be afang, all his foods must be heavy to d point u will have to look for where to dip garri, we buy a full goat, kill n store, my mom does meat sharing, the money spent on feeding alone is like a 200 every month, I wonder how I will manage when I get married if my husband can't cater for us like my dad does for us. The Ibadan BV, I would advice Oje or Beere Market, Dugbe. Bodija market is also an idea but farther than these first two markets. Most of the sellers are farmers from Oyo town or other surrounding towns . Here in Port Harcourt things are expensive but I do bulk buying. Used to buy toiletries from the market but discovered a mall that is cheaper than the market so I buy from there. For meat I joined a meat sharing group and buy once a month. For dry fish and crayfish I buy from Oron through the help of someone. Since I embraced bulk buying, money goes a long way. I live abroad. So for those in the US your credit report is as important as life itself. We have many credit cards but use only one and pay off each month. We shop in Costco, have a list and stick to it. We add our monthly income together. Hubby is paid every two weeks and I monthly. We wait till the end of the month to do the math. After mortgage, we currently own our cars outright, before now we put car payments next. Then light, water, gas, and phone. We spend $600 monthly for a family of six and either one of us goes and we stick to it. Next monthly money we both send to our loved ones. If there is change we spend on cloths. We both have 401ks and our employers match. We then save 50 percent of what is left in a family savings and divide the rest to spend on what we like. Currently I am saving to buy a Chanel bag. Some months I pick up a second job, as summer I stay home fully with the kids. The only things I buy in bulk are toiletries. I'm not a food person, I might cook a bowl of stew that will stay in the freezer for weeks. I can hardly finish quarter bag of rice in a year. Instead of me to buy things in bulk that I won't use I'ld rather not bother. It saves me from wastage. As of today the only thing I have in my house is five pineapples which I intend juicing that will be my major meal for the week I'll add grapes, apples and cucumbers. No pressure, life is good. To store your semo put it in a tight lid bucket and keep in the freezer it will last for a yr so far you have light,also bean i pick then store in the freezer. I don't really know how to haggle price, plus market runs drains me so my husband does the buying. I write the list. We buy rice, garri in bulk. I cook stew, soups, vegetables to last a month and refrigerate. I don't buy beans in bulk because of ants invasion. I buy as I need. Provision, snacks. Juice etc are Vought per satchet or carton. I have not really looked at the timeframe for their consumption but I would start noting it now. My 12kg gas lasts for 6 weeks. I really don't spend on the house. My money is spent on Hubby's wardrobe mostly and buying him gifts. ( I don't earn much though). He forgets tobbuy things he needs because he is so into our comfort first. i am a single lady and i don spend more than 40k a month. Wow! have learnt a lot today ooh...will definitely start bulk buying.